In the fall of 2016, the major exhibition Beyond Words: Illuminated Manuscripts in Boston Collections dazzled the press and the public alike. Divided across three venues, 260 medieval and Renaissance manuscripts and early printed books from nineteen Boston-area collections shone on gorgeous display. It was the largest exhibition of its kind ever held in North America and was attended by almost 52,000 visitors across the three sites: Houghton Library, Boston College’s McMullen Museum of Art and the Isabella Stewart Gardner Museum. Researchers gathered for a three-day symposium based on the artifacts; the public was welcomed to a number of hands-on events and lectures; and a luxurious print catalog was produced with full-color plates and contributions from 83 scholars. The exhibition was featured in the Boston Globe, the Wall Street Journal, and the Huffington Post. Along with all of this remarkable effort, the curators also created a digital catalog on the website for the exhibit, beyondwords2016.org. Since the final exhibit shuttered in January, the site has languished. It represents, however, a remarkable resource for researchers, teachers, and hobbyists. As a Harvard Library Pforzheimer Fellow this summer, my task is to update the digital catalog. In my first week here, I focused on making sure that all 249 entries had a thumbnail image­—I added more than 75 images!–and fixing or adding links to additional digital images. While this has resulted in a more functional website, much remains to be done. 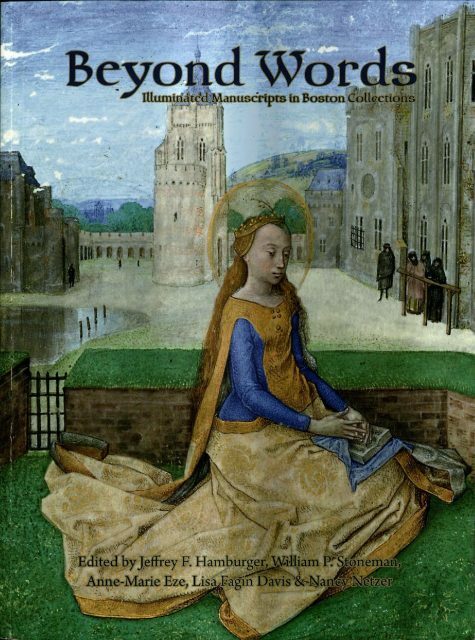 We plan to upload descriptions and bibliography for the manuscripts, and eventually to add the print catalog write-ups to the digital entries. We hope to work with our web developer to improve search engine optimization and make the website more user-friendly. All of this will help Beyond Words continue to be a model of collaboration and sharing of information in the scholarly community and, well, beyond. Stay tuned for further developments! Hannah Weaver, Harvard Library Pforzheimer Fellow and Ph.D. Candidate in Romance Languages and Literatures, contributed this post.